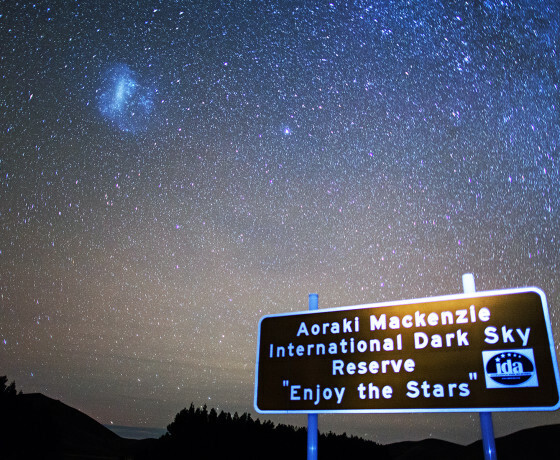 Towering towards the wide open Mackenzie skies, the mighty peak of Aoraki/Mount Cook draws visitors from all over the world who come to take in its spectacular vista. 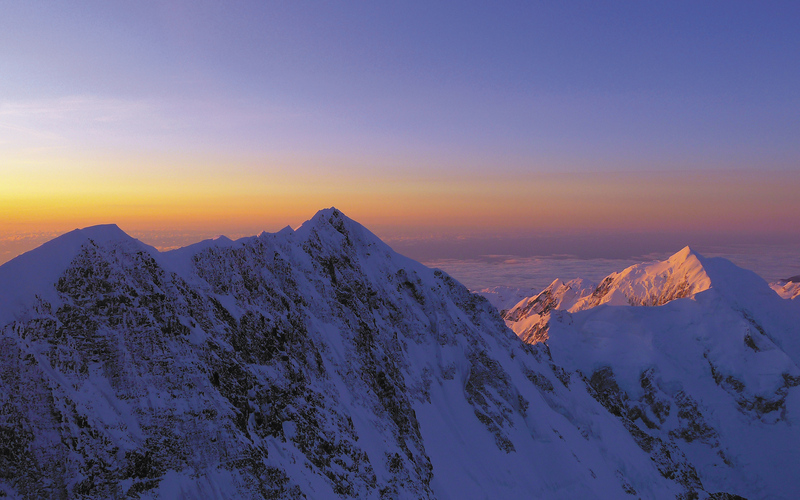 The dominating peak stands strong at 3,724 metres (12,218 feet), claiming the title of the tallest mountain in New Zealand. 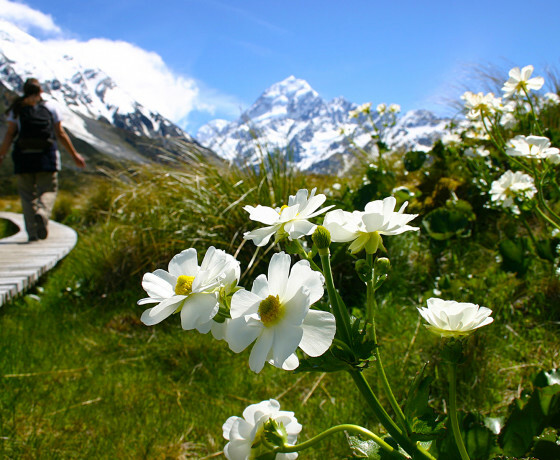 Named “Aoraki” by South Island Maori iwi (tribe) Ngai Tahu, which translates as ‘cloud piercer’, is one of 28 mountains that make up the rugged yet majestic Southern Alps which run the length of the South Island and it is part of Aoraki/Mount Cook National Park. 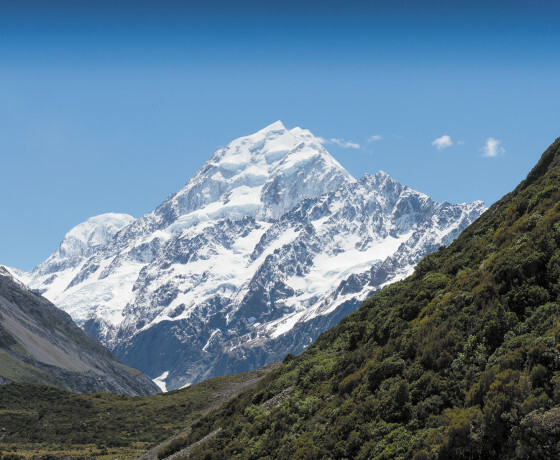 The mountain received its European name, Mount Cook, from Captain J.L. Stokes in 1851. 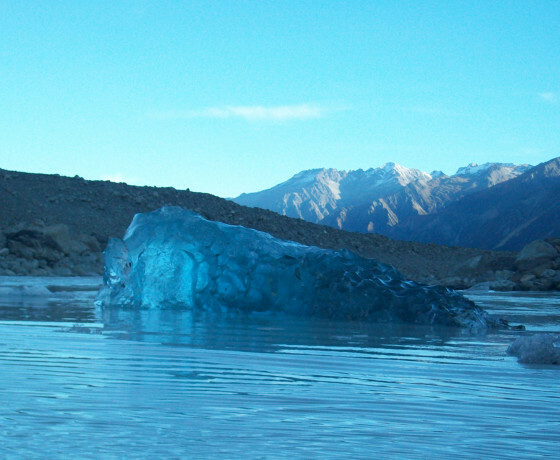 While sailing down New Zealand’s West Coast he sighted the peak naming it in honour of the English explorer and discoverer of New Zealand, Captain James Cook. 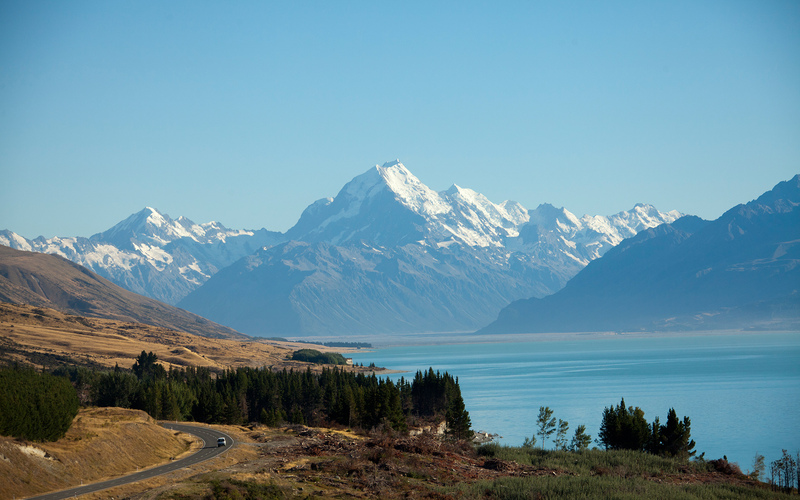 Aoraki/Mount Cook’s awesome presence leaves no doubt as to why it’s one of the most iconic natural New Zealand landmarks. 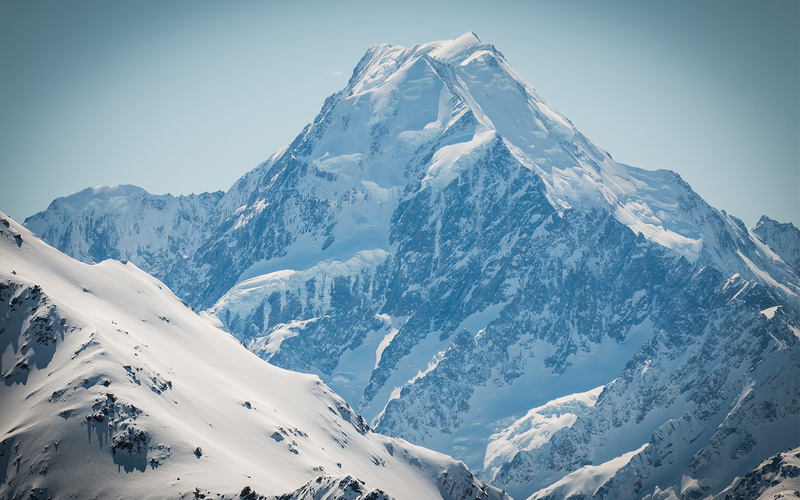 The formidable peak continues to challenge many mountaineers to reach the summit, with Sir Edmund Hillary making his first ascent in January 1948. 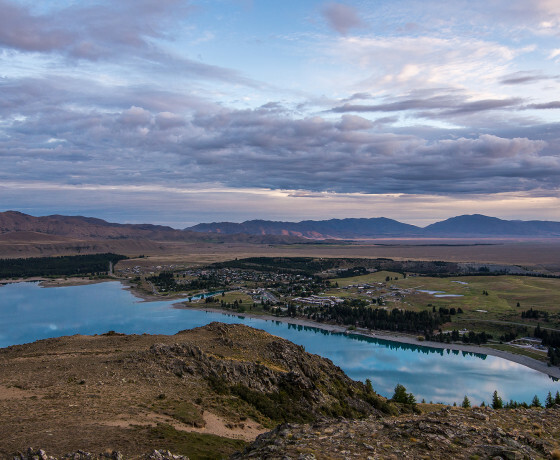 There are many walking and hiking tracks for the less adventurous that lead to alpine tarns with spectacular views perfect for avid photographers. 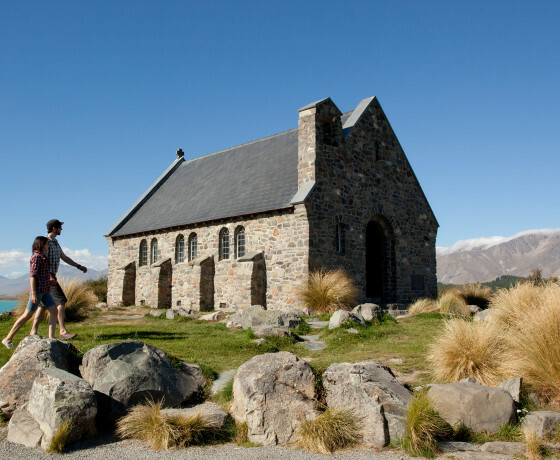 Sitting at the base of the mountain, Aoraki/Mount Cook Village is often used as the central point for visitors wanting to experience this beautiful place. 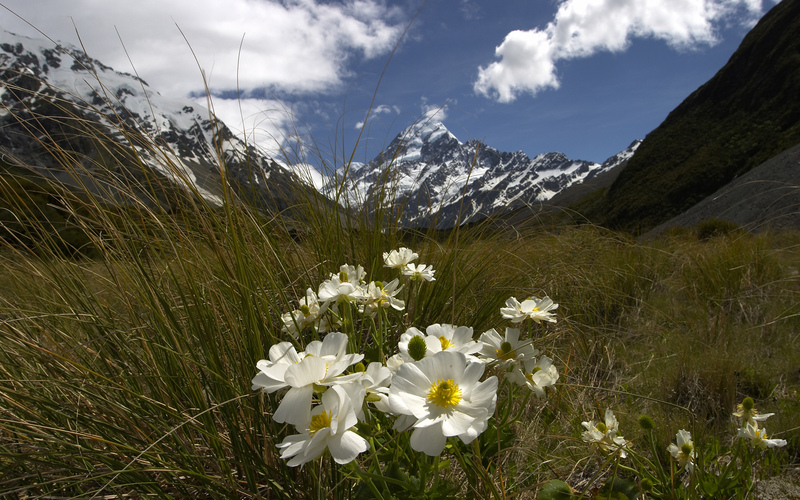 Seeing this stunning peak dazzling white in the sun, shrouded in clouds, or rumbling with snowfall, Aoraki/Mount Cook is a sight to behold.